Your dog can learn obedience while boarding or attending daycare at Whispering Winds Boarding Kennel. Your dog will have fun playing with other dogs during the day while getting exercise and socialization. 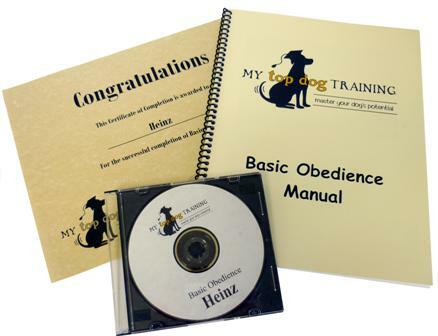 He/she will spend multiple sessions with the trainer each day to learn basic or advanced commands. When the course is completed (usually 2-3 weeks), you will have a one-hour session with the trainer to learn how to give the commands properly and what to do if your dog does not comply. You will also receive a training collar (if needed), a certificate of completion, a training manual and an instructional video of your dog performing an obedience demonstration. Basic obedience includes sit, down, stay, come, heel (walking on a LOOSE leash), and petiquette (not jumping on people, and sitting before going through doors or gates.) Advanced obedience includes off-leash recall, off-leash heel, place, and down (from a distance). Instead of you training your dog in group classes, I will train your dog for you.